A number of smartphone manufacturers launched their offerings during the Mobile World Congress, including HMD Global. The company finally unveiled the Nokia 9 PureView at the event, which comes with a quintuple rear camera setup. The phone will be released in the U.S. in a couple of days and early buyers can also enjoy a discount. The Nokia 9 PureView will start retailing in the U.S. from March 3 at a marked down price of $599. Once the first promotional week is over, you will no longer be able to enjoy the $100 discount and the price will increase to $699 from March 11. The phone can be bought from HMD Global’s official retail partners Best Buy, Amazon, and B&H Photo Video. The flagship device is compatible with all GSM carriers in the U.S., including AT&T and T-Mobile. It is worth mentioning that the Nokia 9 PureView is a limited-edition device and so, only a limited number of units will be produced. This means that when the supplies run out, you will no longer be able to get your hands on the phone. 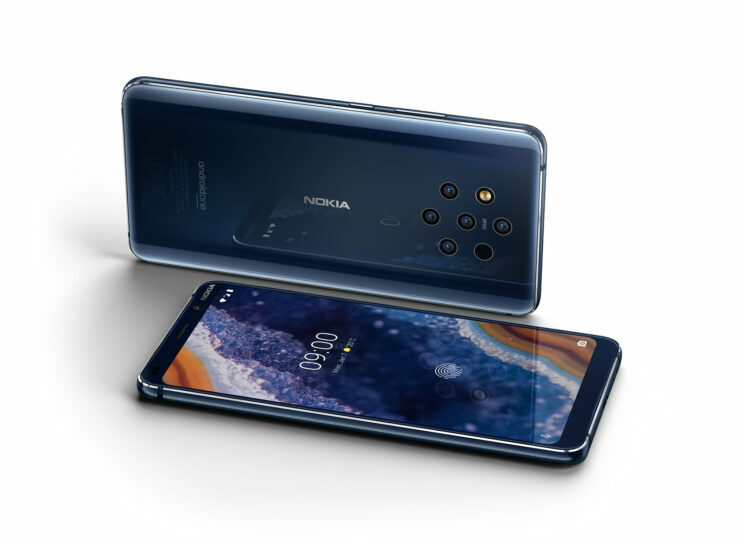 To recap on the specifications of the flagship, the Nokia 9 PureView offers a 5.99-inch 2K OLED screen. It is only available in the color midnight blue. Sadly, the phone is fueled by last year’s chipset, the Qualcomm Snapdragon 845. It has 6GB of RAM and 128GB of internal memory. The phone also features an in-display fingerprint scanner and packs in a 3320mAh battery. The phone comes pre-installed with the stock version of the Android 9 Pie, meaning that you’ll get hassle-free software updates for two years straight. The five rear cameras of the Nokia 9 PureView make it stand out from the competition. Each sensor has a maximum image resolution of 12MP and takes photos at different exposure levels. This theoretically enables it to take photographs with a lot of details, something which the company says a single-lens phone cannot offer.